SPECIALTIES: Deep Tissue massage, Trigger Point massage, Active Release massage, Pre-Natal massage, Cranio-Sacral, Relaxation massage, Lymphatic Drainage massage, Geriatric massage, Somatic Release massage, and Sports massage. CERTIFICATIONS: LMT, Somatic Therapy and Gestalt. GO-TO PRODUCT: Jojoba essential oil. THIS N' THAT: Jim completed an internship at the University of Michigan with the men’s & women’s swim team in 1997. 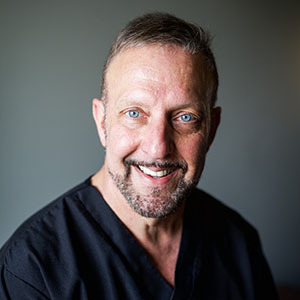 He has worked in both Chiropractic and Spa settings for Massage Therapy.